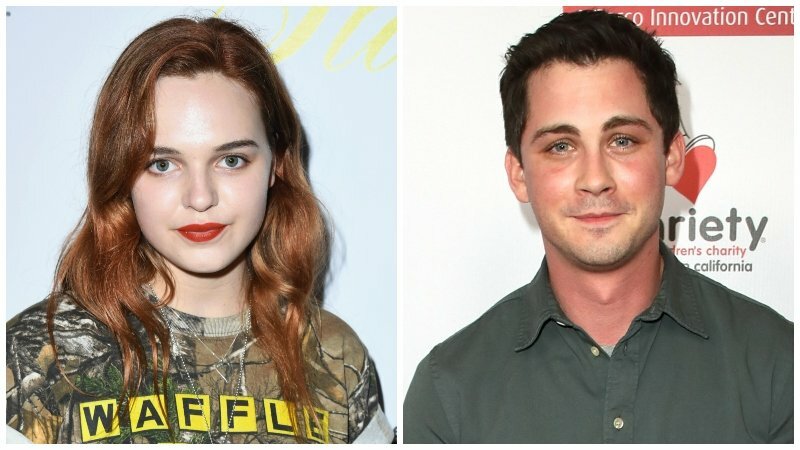 The Hollywood Reporter has word that the upcoming Shirley has added Odessa Young (High Life, The Daughter) and Logan Lerman (Fury, The Perks of Being a Wallflower) to its cast. The two will play a young married could whose life is upended after they move in with author Shirley Jackson, who wrote such suspense novels as We Always Live in the Castle and The Haunting of Hill House. Jackson will be played by Elisabeth Moss (The Handmaid’s Tale, Mad Men), with Michael Stuhlbarg (Fargo, Call Me By Your Name) playing her husband, Stanley Edgar Hyman. The movie is currently in production in upstate New York. The film has a 1960s-set screenplay, penned by Sarah Gubbins who adapted it from the novel of the same name by Susan Scarf Merrell. Killer Films’ Christine Vachon and David Hinojosa are producing along with Moss, Gubbins, and Sue Naegle. Also on deck to produce are Jeffrey Soros and Simon Horsman of Los Angeles Media Fund, who are financing the film. In the meantime, Young can be seen in the upcoming teen internet horror Assassination Nation, which hits theaters September 21st. Lerman will star in End of Sentence alongside John Hawkes. The post Shirley Adds Odessa Young, Logan Lerman To Its Cast appeared first on ComingSoon.net.